Many people believe in second chances. When it comes to band members no longer being a part of a well-known a group for whatever reason, people can be much less forgiving, however. The general viewpoint could be this: Don’t mess with my music and all will be right in the world. 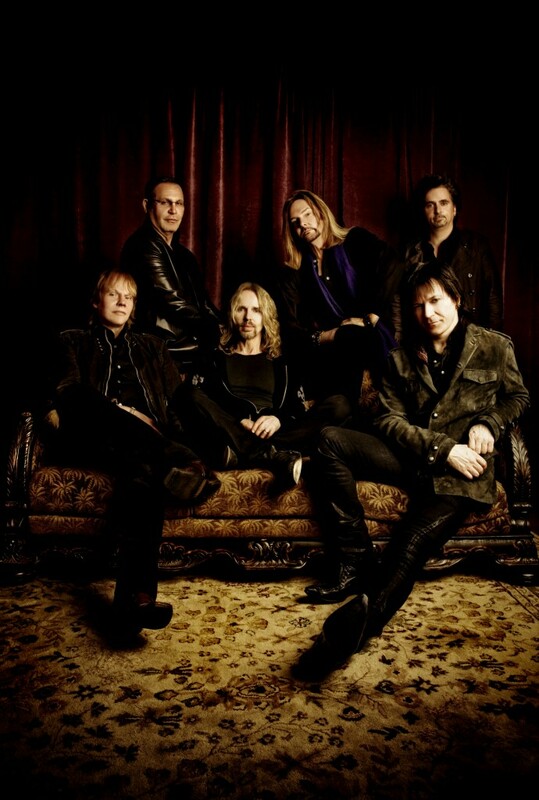 Luckily for classic rock band Styx, their fans are big believers in second chances. The group, known for a slew of radio hits including “Lady,” “Babe” and “Come Sail Away” has been riding a more than decade-long second lease on life after parting ways with vocalist Dennis DeYoung in 1999. DeYoung’s replacement all those years ago was none other than a Canadian. But not just any Canadian. We are speaking of course of multi-platinum singer-songwriter Lawrence Gowan. So how exactly does a Canadian musician, a popular one in his own right, come to front one of classic rock’s biggest bands? That would be fate, my friends. “In 1997, I was promoting a solo live record that happened to have a couple of French songs on it,” Gowan tells the Times & Transcript from his Greater Toronto area home. “I was booked to play a show in Montreal on the same night that Styx was playing what was then the Molson Centre. A few weeks before the show, Donald K. Donald, who was promoting both my show and the Styx show, approached me asking if I’d rather open for Styx than to play my own show. At first, I felt it was a little weird for me to be opening for someone but then again, Donald put the right bait on the hook with me being a hockey fan. Gowan says that midway through his show, he noticed members of Styx standing sidestage watching his performance. At the end of the night, Styx member Tommy Shaw approached Gowan and suggested they consider doing more shows together in the future. Nothing could have prepared Gowan for actually becoming part of the Styx show as opposed to serving as a support act for the American group. But after DeYoung’s departure from the band, the group reached out to Gowan to gauge his interest at joining the band on keyboards and vocals. If history has taught us anything however, it is that the shoes of the vocalist of virtually any band are the toughest role to fill. While some bands have successfully replaced their lead singer (Sammy Hagar replacing David Lee Roth in Van Halen), others have not done so quite as successfully (Gary Cherone replacing Sammy Hagar in Van Halen). Gowan acknowledges that he was mentally prepared for an uphill battle of sorts, ready to prove that he was a worthy Styx member. Gowan says that the members of Styx have been nothing but 110 per cent supportive of his time in the band. One of the biggest votes of confidence in the singer’s abilities comes from the band itself, whom Gowan says has never asked or suggested that he tailor his approach to the songs to be exactly like his predecessor’s. The evolution of which Gowan speaks is not something restricted solely to the songs. While most bands with tenure comparable to Styx are more selective with the amount of live shows that they perform each year, Styx are taking the opposite approach. The inspiration behind their desire to maintain their annual tour schedule of upwards of 110 shows per year comes from an arguably surprising source. “As Styx touring really began to ramp up approximately five years ago, we took note that B.B. King is playing 200 shows a year. If he can play 200 shows a year at 88 years old, there is no reason why we shouldn’t be able to keep pace with that,” Gowan laughs. When: Tuesday, Nov. 12, 8 p.m.